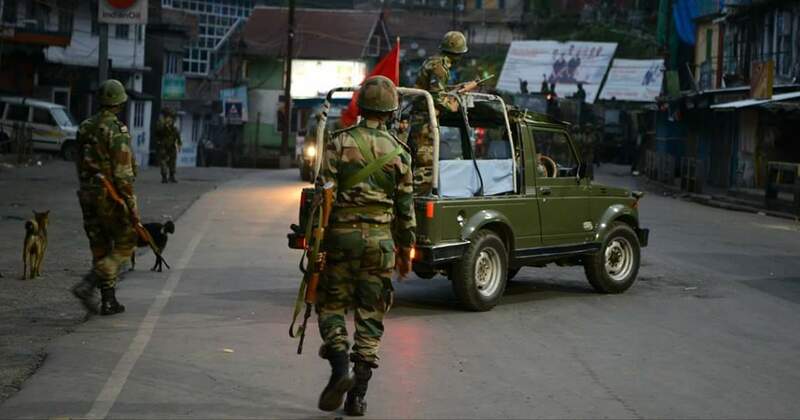 The Centre sent 125 security personnel to Darjeeling on Tuesday after the West Bengal government submitted a detailed report on the ongoing violence in the town, reported The Indian Express. As of now, 10 companies are stationed in the hills, where internet services remained suspended for the third day on Tuesday, reported ANI. In the report, the state government has reportedly blamed the Gorkha Janmukti Morcha for the ongoing violence. However, an official told The Indian Express that the ministry is yet to go through it. The Centre had asked for the report on June 13. On June 16, the Centre had said that it would send the additional 400 paramilitary personnel only after the state government submits a report on the situation. “We will take a decision on sending additional paramilitary forces only when we make an assessment of the prevailing situation,” an unidentified Home Ministry official had said. Meanwhile, several students in boarding schools across Darjeeling, Kurseong and Kalimpong remain stranded because of the indefinite strike. “We are not sure how to send our boarders home after the vacation begins on June 23,” Robindra Subba, director of Himali Boarding School in Kurseong, told The Telegraph. All the schools have remained shut since the GJM called for an indefinite strike from June 15. These schools are also concerned that their food stock may run out. Violence broke out in Darjeeling after West Bengal Chief Minister Mamata Banerjee had announced her decision to make Bengali compulsory in state-run schools. Though she had said that hill districts will be exempted from the rule, the GJM began an agitation that soon turned into a revival of the demand for a separate state of Gorkhaland. 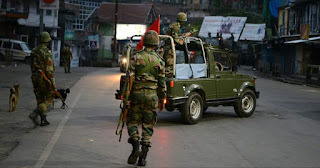 On June 18, the GJM had demanded that security forces be withdrawn from the Darjeeling hills and that the Narendra Modi government hold tripartite talks to ensure normalcy in the region. The GJM had earlier claimed that three of its members were killed in police firing on June 17, which was vehemently denied by Chief Minister Banerjee.